Island Club Home Rentals provides a list of condo and home rentals that resorts and hotels just can’t! You can choose from condos with incredible Lake Erie views, private pools, and direct lakefront access. From cozy rustic cottages to expansive waterfront villas, a Put-in-Bay Vacation Rental will help you find exactly what you need. When renting from a management company on Put-in-Bay Island, guests enjoy additional benefits and services that are not typically offered by single homeowners. This includes a 24-hour customer service contact phone, concierge services, housekeeping supplies, and partnerships with local vendors. Also you have the ability to search and reserve a home securely online many months in advance. You won’t find a shortage of vacation rentals by owner on South Bass Island. Whether you are looking for a cottage, a condo, or vacation rental house, there will be a place to stay that’s just right for you. Put-in-Bay is a perfect destination for friends and family to get away and enjoy a relaxing island vacation. Vacation Rentals remain popular today for the same reasons they have been for generations. Everyone, friends or family, together under one roof, enjoying their getaway together, it really is the dream vacation. Take a look at our large selection of vacation rentals by owner here on Put-in-Bay Lodging. 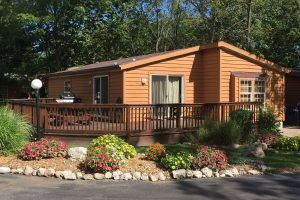 Put-in-Bay Vacation Rentals are a seasonal choice for friends and family to get away during the summer and enjoy a relaxing staycation. Vacation rentals are abundant on Put-in-Bay and remain a popular lodging choice for repeat visitors to the island. These guests know the value of a rental home. In fact, there are now over 100 vacation homes, cottages, and condos on Put-in-Bay Island that are available to rent for short term stays. This type of lodging is skyrocketing in popularity due to all of the perks and benefits it offers compared to traditional lodging like hotels. Vacation rentals by owner remain popular today because of their low overall cost when split amongst families or friends. Couple that with the “home away from home” feel of your very own island vacation rental home. So consider this alternate way of visiting Put-in-Bay, we ensure that you won’t regret it! Please take a look at our large selection of vacation rentals by owner here and find one that is right for you! 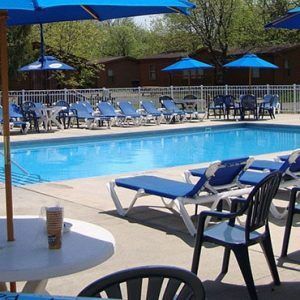 Island Club Rentals also provide amenities that resorts and hotels can’t. You will find incredible waterfront views, a pool just for Island Club guests, grills, patios, decks, laundry, beach access, a bedroom more than you’ll need, and full kitchens. Plus a dining area, extra room for everyone, entertainment and electronics amenities like TVs and Wifi throughout, and Cable TV! Want privacy, luxury, or just space? A Put-in-Bay vacation home is what you want. Let us help you pick out the best one for you. Each cabin and condo rental has a character of its own and offers a different experience or panoramic view of the lake. Let the loons sing you a lullaby as you gaze out at the Northern Lights from your bed in a luxury condo. Our cabins sleep two to twelve guests and offer a quieter location during the week but also a very fun and carefree time on the weekends. Linens, pillows, and blankets are all provided in our waterfront condos and are available for rent for our cabins. Check availability! be, whether you come for the weekend or a midweek getaway. Or if you are seeking a more festive getaway, we can help you find the perfect Put-In-Bay house rentals – including condos, cabins, and cottages – for your group. Still wondering which rental is right for you? That’s what we’re here for! There are a specially curated collection of lodging options available. Visit each rentals website and take a virtual tour. Once you know which is perfect for you and your crew, don’t hesitate to make your reservation, as our rentals book up fast! Click here to get started.